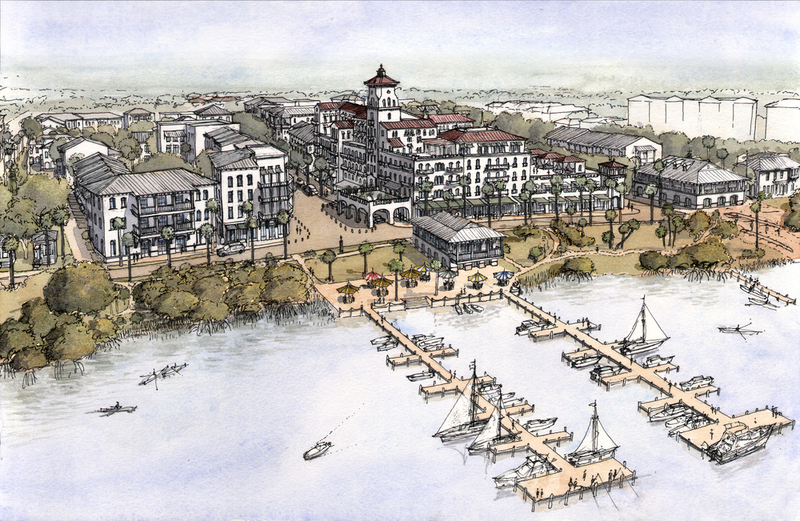 Dover-Kohl was hired by the Osprey Village Development Company to create a master plan for 18 acres of prime waterfront land between Sarasota and Venice on Florida’s west coast. The program called for a wide range of facilities, including a luxury hotel, marina, rowing facility, and a retail "main street". Additionally, the plan contains a mix of both for-sale and for-rent housing types such as townhouses, duplexes and apartments. Integral to the plan are a number of public spaces, including a waterfront park, community gardens, a central square, and a civic green with cyclist pavilions. 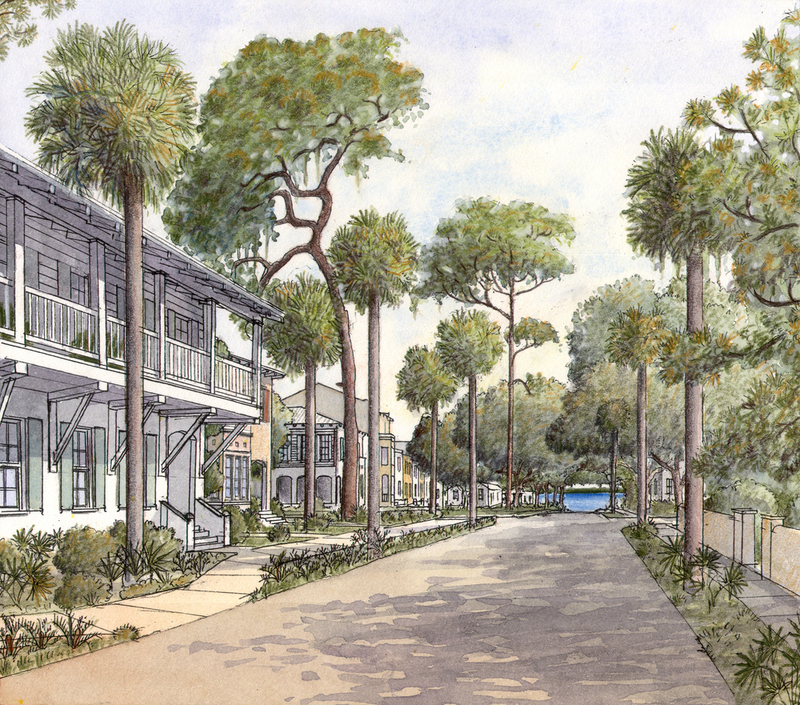 Osprey Bayfront was envisioned to be a walkable community for new full-time residents, while also drawing vacationers and people from around the region to the unique waterfront location. Osprey Bayfront utilized a number of features to reduce environmental impact. A light imprint stormwater management plan was created in conjunction with the overall master plan, as well as a strategy for the restoration of the water’s edge within the 50’ watercourse buffer. The design team also worked within the parameters of Sarasota County’s existing Planned Mixed-use Infill (PMI) District Code when creating the plan. Dover, Kohl & Partners led the planning and design process; Hall Planning & Engineering, Zimmerman-Volk, the Paradise Hotel Group, and architect Chris Gallagher also contributed to the Master Plan.